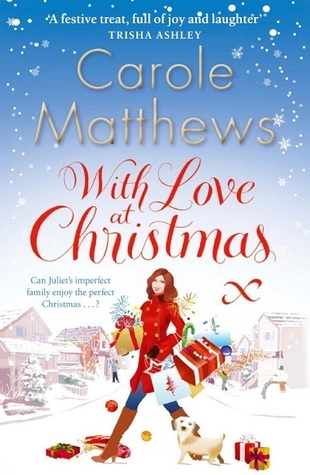 My third suggestion for a Christmas audio book is With Love at Christmas by Carole Matthews. Blurb courtesy of Goodreads website. With the big day fast approaching, Juliet hopes that she can stop everything spiralling out of control. This entertaining novel had me giggling whilst I was wrapping gifts and crying whilst baking biscuits. The family experience a roller coaster of emotions during the festive period but Juliet's love of Christmas shines through every problem and crisis. The Joyce family is a collection of loveable misfits and in the run up to the big day Juliet has more than mince pies and mistletoe on her mind. Juliet brims with generosity towards family and friends sometimes to the detriment of her own feelings. This is definitely a feel-good Christmas story and a must if you are a Carole Matthews fan. This is a sequel to That Loving Feeling published in 2009.